A MONOLOGUE, unlike storytelling, lacks a narrative. Harshvardhan Gane-san from Masque-rade theatre group hopes to change that by connecting seven monologues with a narration. Over the Table by Ganesan and creative director, Krishna Kumar seem to have had a lot of fun with this experiment. a�?Individually, they will all appearA� random but with a narrative, they will make sense,a�? says Ganesan, a law student who has been into theatre from the age of nine. 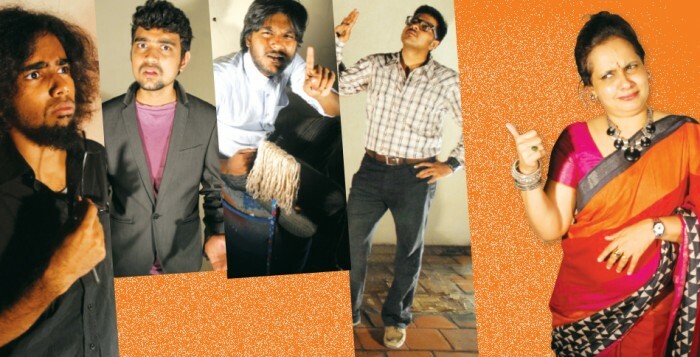 Ganesan wants to break away from the usual rom-coms and comedies that college theatre groups are hooked onto. a�?Our monologues are pretty serious. We want to break the trend of rom-coms, comedies. Our last two plays have been dealing with serious subjects,a�? says Ganesan, 20. That said, Ganesan admits that there is no lack of innovation among theatre groups. a�?Theatre is seeing a lot of new ideas and themes like horror and science fiction and it has become more audience-friendly,a�? he says. Over the Table sees actors from different backgrounds. a�?Meera Shiva-shankar, a teacher from Bala Vidya Mandir plays the role of Mrs Meera, and Pranav Dwarknath, who is just 16 years old, plays Shobhit. Dileep Rangan will be seen in No Parking, Shankar Chockalingam is in Gas, Sananth Reddy will be in The Janitor and Srivats Agaram will be in Bowl of Soup. They have been part of Masquerade for quite a while,a�? says Ganesan, who has directed the plays, Wizard of Oz and Cheating Cheaters. a�?I joined Masquerade when I was in the eighth standard and since then I have been doing plays,a�? he says. Taking inspiration from American playwright, John Patrick, Ganesan shares the challenges of directing a monologue. a�?Each time, you have to snap in and out of each character. One needs to shift quickly. I had to give complete attention to each character,a�? he says. The highlight that evening would be No Parking on Odd Days by Kuo Pau Kun, an adaptation of a Singapore monologue, while the rest are all original. a�?We researched this one a lot to find out what those words mean. We wanted to add local flavour to it but then decided to keep the essence of the script,a�? he concludes.